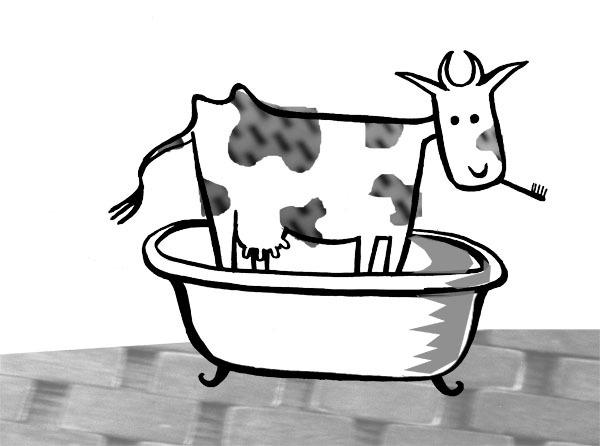 This dentally-minded cow was used to illustrate a section from ‘Brain Storms!’, on stories from the deepest recesses of children’s imagination. You’ll have to read the book to find out how the cow fits in! A very bold line with bits of collage gave him the right mood.